Annual Disparity Study for the City of Philadelphia | Econsult Solutions, Inc. Since 2006, Econsult Solutions has been retained by the City of Philadelphia to conduct an annual disparity study. (Milligan and Company partnered with Econsult Corp. beginning with the FY 2008 study). 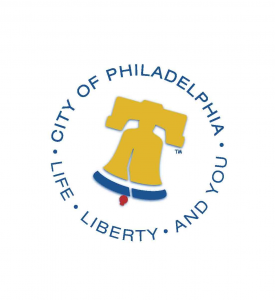 The study is designed to analyze the City of Philadelphia’s utilization of Minority Business Enterprises (MBEs), Women Business Enterprises (WBEs), and Disabled Business Enterprises (DSBEs) (collectively known as M/W/DSBEs), relative to the availability of such firms to compete for City business. The studies help to determine the extent to which disparity exists, as well as provide critical data in the development and formulation of the Finance Director’s annual participation goals. It is an important component of safeguarding the public interest in identifying and rectifying instances of discrimination and proactively seeking ways to promote the inclusive participation of M/W/DSBEs in economic opportunities. Disparity is measured as the ratio of M/W/DSBE utilization to M/W/DSBE availability, with “utilization” for each category and industry sector defined as the total dollar value of contracts awarded to for-profit M/W/DSBE prime contractors and sub-contractors certified by the City of Philadelphia’s Office of Economic Opportunity (OEO) divided by the dollar value of all City contracts awarded to for-profit prime contractors and sub-contractors, as recorded in OEO’s Annual Participation Report. A disparity ratio greater than 1.0 represents over-utilization, whereas a disparity ratio less than 1.0 represents under-utilization. Each year, ESI makes recommendations for future study methodology and scope, policy and programming, data collection, and goal-setting. These recommendations have included streamlining of certification and contract processes, centralizing and automating processes via information technology systems, and building redundancy into the process to avoid bottlenecks and provide necessary checks and balance.